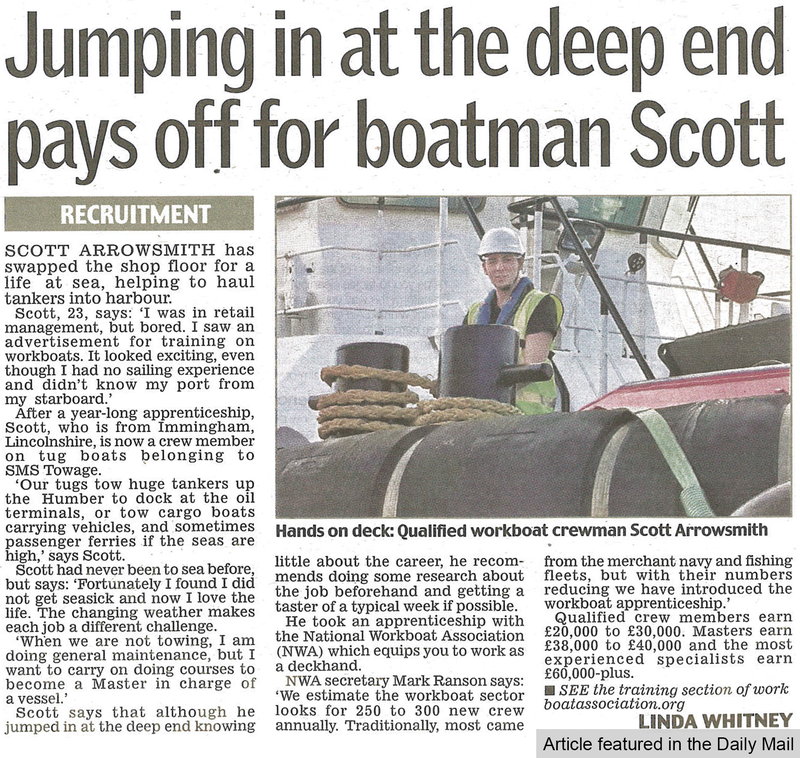 SMS Towage apprenticeship scheme in National Press - SMS Towage Limited. SMS Towage, along with the National Workboat Association (NWA), provide an apprentice scheme for those seeking a new and exciting career in the maritime industry. The year long course can take an apprentice on a journey to become a qualified workboat crewman, in an industry where there is certainly demand for them. Scott Arrowsmith started his apprenticeship just over a year ago and is now part of the specialist crew operating on SMS Towage's tugs. Scott began his apprenticeship after becoming tired of his job in retail management. The scheme has lead him from having no sailing experience, to setting his sights on becoming a Master in command of tugs. The workboat apprenticeship was introduced to meet the growing demand for qualified crewmen.